Online dating in the United Kingdom is mainstream. Much like in the United States, the best online dating sites in the United Kingdom are full of members looking for love. There is a huge variety of sites here, meaning that you want to stick to the legit sites and ignore the ones that promise the world but fail to deliver. 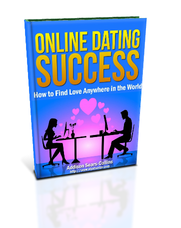 The sites that I mention below are the ones that have been tested and will put you in the best position for success dating in this country. Before I get into the specifics of the top online dating sites, I must mention that your best results will come if you live or stay close to one of the big, populous cities with a lot of singles. Cities like London, Manchester, and Liverpool are target-rich environments chock full of singles looking for love. Another benefit of being in one of these cities is that opportunities for offline dating will also more abundant. Should you decide to sign up for the online dating sites I recommend below, be sure to read member profiles carefully as you might come across a lot of fake profiles. As a general rule of thumb, the more boring the profile, the more boring the person. Without further ado, here is the quick list of the top five dating sites in the UK. I’ll go into more detail below. UK.Match.com is the best online dating site in the United Kingdom. UK.Match.com is the UK version of the popular site in the United States, Match.com. Rest assured, the Match.com brand is one of the most powerful in the business, and this UK version is the best the doctor ordered. Match UK is organized well and created using many sophisticated features that are not only reliable but dependable as well. The main drawback, however, is exclusivity, which means unless the user lives in the UK, access to the website’s features is denied. Even if the user is able to login for a while from outside the UK, the security measures will deny access to its core functionality. Signing up on this website is simple and easy. All you need to do is create a personal profile with information such as your name, gender, birthday, username, password and email address. Once this is done, the next nine optional pages will let you personalize your profile and make it more specialized with data such as your personality, lifestyle, appearance and interest for your ideal matches to see. Basic search: This lets you search for a potential date based on birthday, perfect matches, reverse matches and mutual matches. Advanced search: This search method lets you narrow down the search through filters such as age, location, lifestyle and appearance. Shuffle: Tinder-like feature which allows you to like or dislike random profile. The website sends notification in case of a mutual match. Free members can browse or search for other members, send out Flirts and access basic profiles. However, communication with a member needs premium membership through instant upgrade and payment. Premium members can send messages to potential matches, start chatting with members who are online or add profiles to Favorites. Unfortunately, no audio or video support is available on Match UK. The Match UK website has a number of features that are unique. For example, the Events tab on the top corner of the screen lets you browse through various event listings, host evenings and interests. Evenings are relaxed gatherings with activities such as cocktail classes, photography, cooking or guided tours to exhibitions. DatingDirect was launched in 1998 and merged with Match.com (the site I mentioned above) under the Meetic Network umbrella, giving each site access to the user base of the other. DatingDirect has an inviting, modern website design, and a lot of features without being overwhelming. Most of these features are only available to premium members however, and some users report having difficulties cancelling premium memberships, or getting their money back after mistaken charges. DatingDirect is not the greatest site I’ve come across, but with so many members, it’s definitely worth checking out. You need to actually be in the UK to sign up, however. All you need to do to register is select your gender and desired match gender, and enter your birthday, username, password and email address. After this, you’ll be shown a number of questions to answer, but you can leave these for later if you wish. Simply click on any of the tabs leading to different features of the site, and you’ll be prompted to upload a photo and select 3 matches to give DatingDirect an idea of what kind of profiles you like. Once you’ve done this, you’re free to browse. To complete your profile, you’ll answer a number of questions about your personality, appearance, lifestyle and interests, and what your ideal match would look like. First off, you have the standard browsing feature, where you look through all the profiles currently online. Next you have basic and advanced searches. Basic searches are fun, quick options where you browse through profiles with the same birthday as you or members who have birthdays that are today. Advanced searches are the standard affair, where you choose between different filters (age, location, etc.) to help you narrow down your search. Finally, there is Shuffle, where you browse through random profiles one at a time, liking or disliking each one, waiting for Dating Direct to notify you when there’s a mutual match. Communication with other members is only available to paying members, so once you find someone you like, it’s time to cough up the dough. After you’ve upgraded, you can start things off with a simple “wink” to show interest and draw attention to your profile. If that doesn’t wow them into contacting you, you can send a message or start a chat if they’re online. Both of these features work smoothly but are unfortunately only available in text. DatingDirect is as active offline as online. Every month, DatingDirect hosts a number of events, such as dance parties, cooking classes, wine-tastings, and more. These events are great opportunities to move your online relationships to the real world or simply meet new singles all together. Each event is advertised with a time and date, location and the number of users planning on going, and includes a link to sign up. Eharmony is a famous name in the online dating business and is a good third option. When you sign up for this site, you will have to fill out an exhaustive questionnaire which will be used to generate a personality profile that will enable the site’s algorithm to locate matches for you. A renowned psychologist by the name of Neil Warren founded eharmony. He has authored 10 books on the topic of love and marriage, so he’s quite the expert. eharmony has more than 30,000,000 registered members across the world. The design and features of the website are among the best, which does make joining a little pricey. However, if you are serious about finding love and a relationship that could lead to marriage, you really couldn’t find a better dating site than eharmony. To begin, you provide your name, location, your gender, and match gender. Once that’s done, you’ll fill in your email address, a password,and explain how you found out about eharmony. You will then take a personality test that will take about 40 minutes to finish. Most of the questions are designed to have you select something on a scale from 1 to 7. There are various sections: how applicable a phrase or word is to you, how much passion or skill you have for a particular activity, how many times you’ve felt a certain emotion over the last month, and your values and style in a relationship. Once you’ve answered these questions, you go on to write about things you’re grateful for and what you are passionate about. Then you’ll write about what you prefer in a partner along with some details regarding your level of education, your occupation, etc. Once that’s all done, you’ll upload a photo for your profile if you wish, and your registration is complete. But that doesn’t mean your profile is finished as you’re only halfway there at this point. There are many more sections that need your attention, but these are at your option. These include: life skills, favorite interests, and a question system similar to the one on OkCupid. 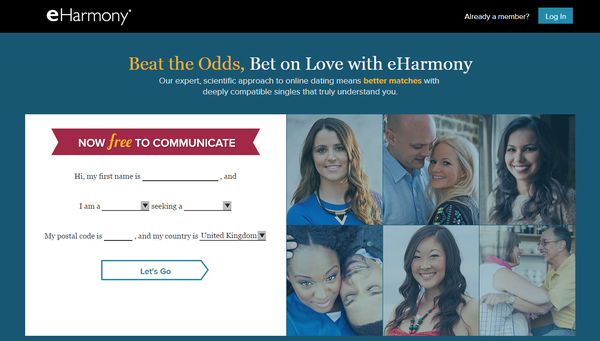 As with other dating sites that use personality tests, eharmony doesn’t have the usual search or browse features. Once you’ve finished signing up, eharmony will start comparing the results of your personality test with those of other members in order to find you matches. These can be narrowed down by location and age range. They will present matches to you, and you’ll be allowed to view their profiles only, not their photos. There is a messaging feature on eharmony that is fairly basic that only supports text messages. It also allows you to send Smiles or move towards sending standard messages using the site’s Guided Communication feature, which is truly amazing and described below. Once you become a Premium member, you are able to use a Secure Call feature that enables you to call other members, but your information and phone number are kept private. The most unique feature on eharmony’s site, and in my opinion the best one, is the system they’ve set up for Guided Communication. Using this feature, you can break the ice. In 4 easy steps, you can establish a connection with another member. Quick Questions – You choose 5 questions out of a total of 55, like “What are your thoughts on traditional gender roles?” and “How and where do you like to travel?” Your match would choose specific options for answers and reply with 5 questions for you. Makes or Breaks – This lets you reveal what makes or breaks a relationship in your opinion. Examples of “Make” would be: affectionate and a sense of humor. Examples of “Break” would be cheating and racist. Digging Deeper – This allows you to ask questions eharmony has come up with or to write out your own questions. These would be asking things like describing certain personal habits you deem important. eharmony Mail – This is the last step in the messaging feature of eharmony. You are allowed to skip over everything else and use this if you prefer. Parship UK, the UK version of Parship, is really for serious daters who are looking for more than just a casual dating experience. The dating site is built with a solid matching system. The sign-up process involves an in-depth personality test which is used to match you up with others. The lengthy test may be off-putting for some, but the time commitment required is to find the best possible matches for you while filtering out the least compatible matches. When you sign up, you start with your gender, your preferred match gender, password and email address. The Parship Principle is the next part of the sign-up process and will take roughly 20 to 60 minutes of your time to fill out. The majority of the test is multiple-choice, but it does have several segments of choosing your preferred image or image title. This test is a great deterrent to disqualify those who are not seriously interested in finding someone. After the questionnaire is complete, you’re only a third finished. “Matching Points” is the way Parship matches you with other compatible profiles. The higher the points, the more compatible you are with the other person. When starting out, profile pictures will remain blurry until the user gives you permission to see them, or when you upgrade to a premium account to see pictures open to the public. Names are also hidden, but you can see occupations when visiting profiles. It’s suggested that you take notes or use nicknames to differentiate the profiles. Communication is open when you have completed half of your profile. You can then add people to your favorites, share pictures, and send compliments or messages. Each profile has a detailed compatibility report that shows others more about you beyond the basics of text messages and sharing pictures. The psychology behind Parship’s compatibility system is the product of over 40 years of research by a Hamburg University professor. When you’re a premium member, you’ll gain access to a 40-page psychological report. If a premium membership is out of the question, the free version has a wealth of information available to you. You can learn a lot about yourself and how well you fit within a relationship. Comparing your profile to others can also be enlightening. If for some reason you have not made contact with another member within six months using a premium membership, Parship will give you another six months free as part of their Contact Guarantee. 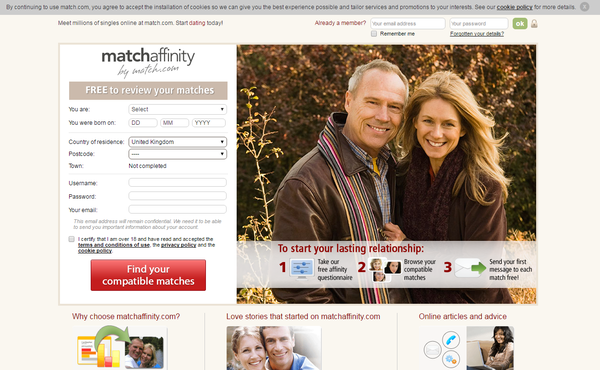 MatchAffinity.com is based in the UK and is part of Match.com International. If you’ve joined Match.com, you realize that members themselves search on that site to find matches, but on MatchAffinity.com, the site suggests matches for you based on your answers to the Affinity Questionnaire. The Questionnaire was developed to evaluate you on five basic areas of interest: relationship history, lifestyle habits, personality, core values and search goals. Once you finish the questionnaire, you are encouraged to take your time looking around the site and just have fun. It’s fairly easy to sign up on MatchAffinity, taking about 30 minutes at the most; including time spent answering questions on the Questionnaire. There are about 100 different questions that cover a total of 71 psychological criteria from how you view family life to what your fundamental values are. Regarding photos, the moderation team at MatchAffinity must approve each one you upload to the site before it will be posted. This means it might take as long as 24 hours before your profile will be up for others to view. MatchAffinity will provide you with a sweeping personality report as a result of your answers to the Questionnaire when you signed up. These reports are part of the database at MatchAffinity and compared to others in coming up with matches. Your outlook on life, your values, and personality traits are matched with those to find potential partners. The matching system provides you with similarity percentages comparing you with every other member on the site as it tries to select the best possible matches it can point out for you. Members can interact and communicate with each other through the email function on the site. On MatchAffinity they screen their profiles very effectively so it is extremely rare that you would come across a fake profile. Members can also easily see who has viewed their profile, as well as the last online status of other members. The email messaging function is very user-friendly. There are two different membership levels on MatchAffinity.com: Free and Premium. Every user, whether they are Free or Premium, can complete the Affinity Questionnaire and receive their personality report. Both Free and Premium members receive a list of matches suggested by the site, including compatibility scores as well as reports. Unpaid members are allowed to send one message to every other member, but to be allowed to properly read and send messages to others on the site you really must subscribe. Without subscribing you cannot view any photos of other members, even if they’ve decided to make their photo(s) public. You must be a paid member to view photos. This is why it’s absolutely necessary to have a paid subscription because there is no way to see what anyone actually looks like without it. Honorable Mentions: Honorable mentions go to Plentyoffish.com, OKCupid.com and Badoo.com. These sites are 100% free, but, as the old story goes, you get what you pay for. I would only sign up for these sites as a last resort. You will spend so much time trying to weed through low quality profiles that you will get very frustrated very quickly.